NYC was about 20 degrees Celsius today, which meant short lines for dinner in the city. 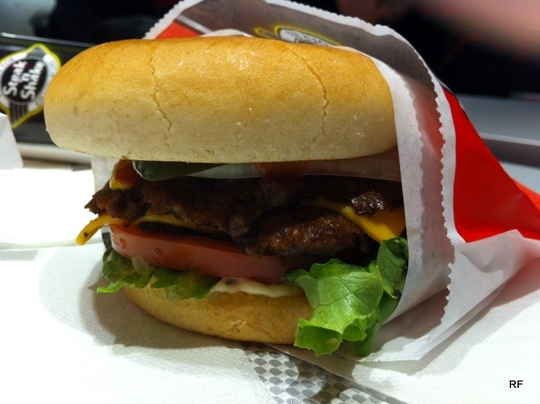 We went to Steak ‘n Shake and it lived up to expectations for a $4 double cheeseburger with fries in NYC. For such a small restaurant space (typical of NYC dining), the kitchen & wait staff seemed to outnumber the dine-in patrons. What hours is Steak ‘n Shake NYC open? 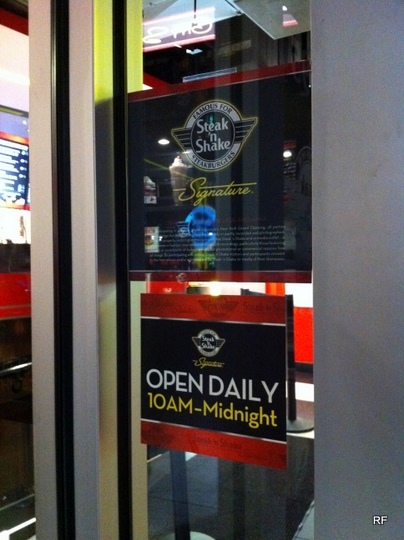 The Manhattan Steak ‘n Shake is open from 10 AM to midnight every day. It’s located at 1695 Broadway in Midtown West between 53rd & 54th Streets. This is right next to the David Letterman studio. The phone is (212) 247-6584. 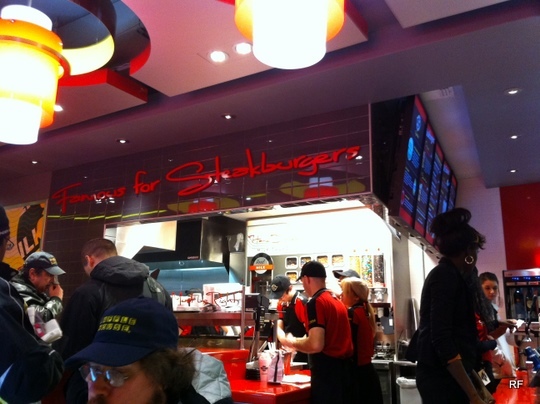 This entry was posted in Food and tagged broadway, burgers, nyc, steak n shake on January 15, 2012 by Rex.